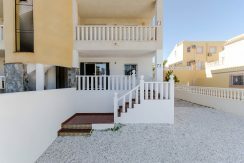 Ground floor apartment in Villamartin. Super modern detached villa in Mediterranean design. 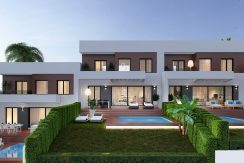 MARIVOULSY DESIGNED DETACHED VILLAS TO BE BUILT UPON REQUEST. End of terrace 300 m from the beach. Superbly designed villas on Costa Cálida. Terraced house with superb view down to the Med.